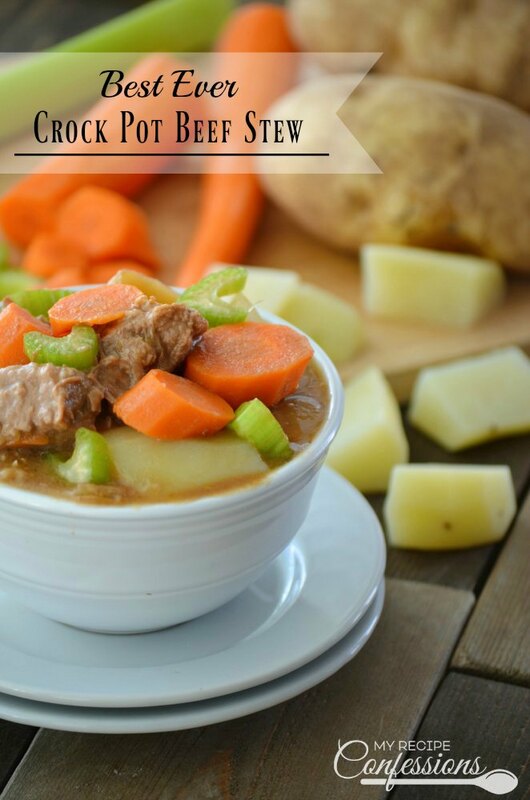 Best Ever Crock Pot Beef Stew is full of flavor and is perfect for a cold night or even a warm night. There is only a little bit of prep work to make the stew. The rest of the time it just simmers in the crock pot. 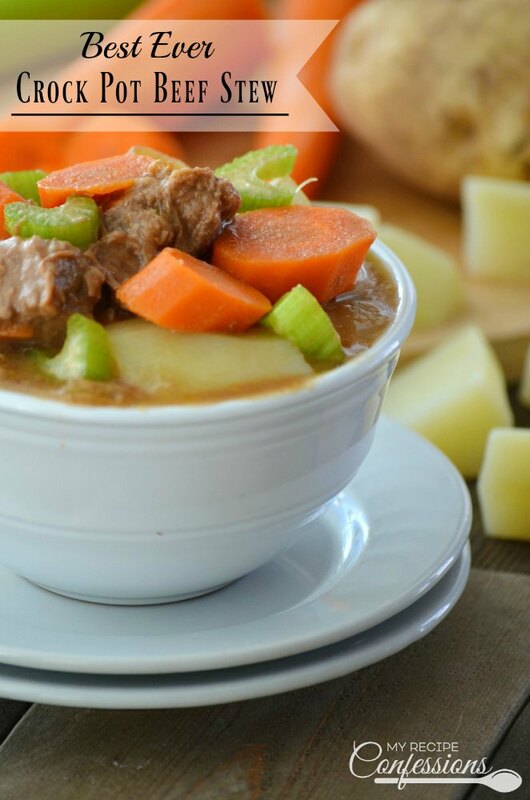 Your home will be filled with a rich aroma as this mouth-watering beef stew cooks. The beef is so tender it practically melts in your mouth. Once the stew is finished cooking, I take the juice out of the crockpot and thicken it with a roux to make a gravy. Then I add the gravy back to the rest of the stew. This is one of the secrets to a good stew because the gravy will coat all the ingredients and ensure a rich and savory taste in each bite. This recipe makes enough to feed your family and then have some to eat the next day. That is two days of yummy goodness. You are sure to be the star of the kitchen! 1. Add beef cubes, onion, carrots, celery, potatoes, barley, bay leaves, beef and vegetable broth to the crock pot. Remove the juice from the stew and pour it into a medium-sized sauce pan. Add the salt and garlic powder to the juice. Simmer the juice on medium high heat. To make the roux, melt the butter in a small sauce pan over medium high heat. Add ½ c. flour to melted butter and stir constantly until in turns a golden brown color and has a nutty aroma. Let the roux cool down slightly. Whisk the roux into the juice. Let the juice simmer until it thickens (about 10 minutes). Add the gravy back into the stew. Serve and enjoy! I think the celery amount was left off the recipe. I just guessed. I know my family will love this. They love anything with barley in it. I am so sorry, I didn’t notice the celery amount wasn’t listed. I just fixed the recipe. It calls for 1 1/2 cups of celery. THANKS. MY HUSBAND LOVED THE BEEF STEW I MADE WITH YOUR RECIPE. I am sorry that you are having trouble seeing the recipes. I will work on making the font easier to read. This is my first feature ever. I am so excited! Yes Kirsten you can. I was wondering when I posted the recipe if barley is gluten free. It would still be just as good without the barley. Maybe next time. We are having another link up starting tonight. I am sorry I haven’t linked backed to your blog. I am new to blogging and I have no idea how to do it. I will see if I can figure it out and link up tonight.